When I was completing my undergraduate degree in communications, I made sure to sign up for an internship during the summer before my senior year. My internship provided me with college credit and real-world work experience. I had a great item for my resume, and my experience counted for graduation. I didn’t receive monetary compensation, but I was able to go on a trip for free as part of the internship. All in all, it was a valuable experience that helped me land a job at a local newspaper a few years later. An internship can be just the thing to help you maintain an edge as you look for jobs following graduation. “I find that employers are much more interested in college graduates who possess practical work experience in the form of internships and research assistantships,” says Lisa Woolf, a college coach with Your College Coach. Of course, not all internships are created equal. There has been controversy lately around unpaid and low-paying internships. Many interns have been taken advantage of, required to do menial or useless work without deriving any true benefit. If you are just getting coffee, and not able to make good connections and receive hands-on training, an internship isn’t as valuable. Experience: The most important thing is to get the right experience. Are you receiving training in an area that will help you with your career field? Look for an internship that will actually allow you to gain some experience by engaging in responsibilities and learning more about your chosen field. Connections: Even if the experience is a little suspect, your internship can still be valuable with the right connections. Will you meet people you can network with later to get a job? Does the impression you make now matter later? At the very least, you need to come out of an internship with a good letter of recommendation. Prestige: Prestige can also make a difference. If you have managed to land a hard-to-get internship, and it is an impressive feat, it might not matter quite as much if you don’t get the experience you want. However, make sure you make the most of the internship by making good connections and doing a good job so that others notice you. 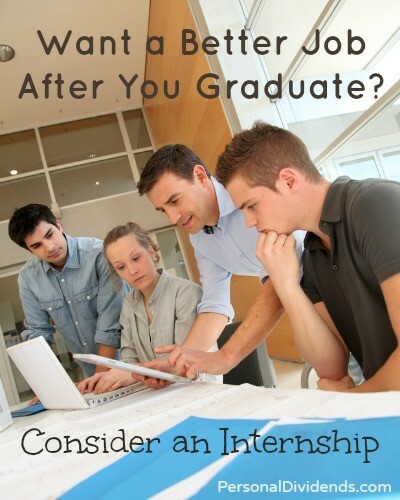 Your internship isn’t going to be perfect in every way, but you can find an internship that does just what is needed. You can receive college credit, and learn something valuable about your career field. And, if you pick the right internship, you’ll even receive an experience that sets you apart from other fresh graduates.